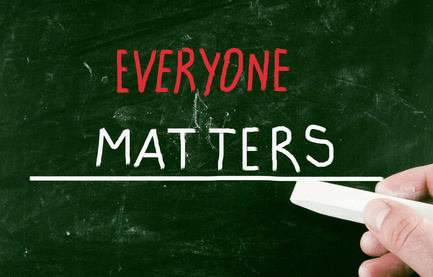 Inclusive learning styles with a personal touch – it’s a bit of a nightmare! So, there I was, in the middle of the night, wide awake, sweating and shaking after a particularly vivid nightmare. In my dream I had been teaching a class and each of the students was wearing a bib like those ones netballers wear. There were four different colours, each with a different letter: V, A, R and K. None of the students were doing any work and when I asked them why not they each demanded that the work be presented in a very particular way to align with their learning style. One said “I’m a visual learner, can I draw you something in response to your question?” Another stated “I’m an aural learner, let’s sit down and discuss what I’m supposed to do”. A third said “don’t ask me to draw you something but I can write it down” As I approached the fourth student with the “K” (for kinaesthetic learner) on his bib I woke up, which was a bit of a relief. How was I meant to deal with these demands and at the same time deliver the content of the module? If I didn’t get it right some, perhaps most of my students would struggle or fail and then there’d be trouble. It was all just too much. It’s true, I think, that people learn in different ways and probably prefer to learn in different ways, but if they believe they can only learn in one way then they either neglect to develop skills in other areas or convince themselves that they can’t learn in other ways and thus can’t undertake certain tasks, all of which then becomes a self-fulfilling prophesy. How does this affect us in universities with their range of disciplines? If we accept that we all learn things differently in different settings, depending on the tasks involved, then we need to bring this awareness into our teaching. We might acknowledge, for example, that an engineering student will need to use a range of learning styles, depending on whether she’s learning how to talk to clients, take part in a practical activity, assimilate data from a spreadsheet, take notes in a lecture, or work effectively in a multidisciplinary team. Students therefore need to have a clear idea of what’s expected on their taught programmes, rather than simply seeing themselves simply as a “visual”, “auditory” or “kinaesthetic” learner. Arguably, the most successful students are those who can be adaptable in a wide range of learning situations, and develop the confidence to work outside of their comfort zones. This then is a clear call for inclusive teaching and learning approaches which are what Zhang (2013) calls “malleable”. If we accept that our students have differing needs at different times and our teaching is not only responsive to but anticipates this, then we are more likely to include more of our students in the learning journey and help more of them to succeed. This is not an easy option, but it is the right one I think. Teaching may not always be a dream but it needn’t be a nightmare either! “The Malleability of Intellectual Styles” (Zhang, 2013; Cambridge University Press). 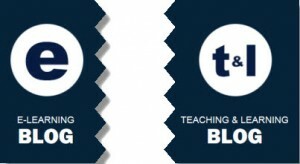 The blog is dead – long live the blog! [Reposted] After over 4 years of regular posting, we’ve now taken the decision to merge the Loughborough E-learning Blog into the Teaching and Learning Blog. This reflects the fact that e-learning is no longer seen as a standalone activity but is increasingly embedded into mainstream teaching and learning. 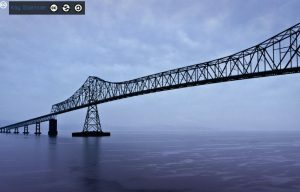 There is a wealth of historical posts from both blogs and you can still access these using the search box or the ‘Categories’ drop-down menu. Please bookmark this new address – or better still, subscribe to the RSS feed! 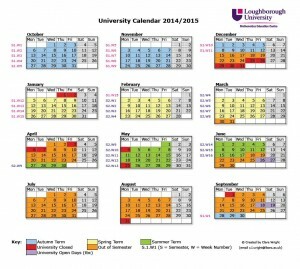 Clare Wright (Senior Administrative Assistant, Mathematics Education Centre) has kindly made the University Calendar 2014/2015 available for use by all staff – this resource is accessible in pdf format via University Calendar (for staff) 2014-15. Further details regarding next academic year – including information from Student Enquiries with regard to Semester and term dates and from Human Resources in relation to holidays (please go to “Holidays: Public/Customary 2013/14/15″) – are also available online. The latest Times Higher Education contribution by Graham Gibbs is concerned with ‘student engagement’, a term which he sees as ubiquitous, before asking us to consider what it actually means, and whether it might help to improve learning. There is never a shortage of food for thought, reflection, and action when it comes to this author. For more information on this piece, go to Student Engagement, the latest buzzword. Let the conversation continue in earnest! For those of you who have not browsed through Europeana before, and you are in anyway interested in European history, culture, film, etc., you are in for a treat! “Discover, share in, re-use and be inspired by the rich diversity of Europe’s cultural and scientific heritage. Books and manuscripts, photos and paintings, television and film, sculpture and crafts, sheet music and recordings and much more. From The Girl with the Pearl Earring, to Newton’s Laws of Motion, from the music of Mozart to the TV news of times gone by – you can find it all in Europeana”. Previous newsletters, as well as newsletter subscription details, are accessible via http://europeana.eu/portal/aboutus_enews.html, while the RSS feed is available at http://blog.europeana.eu/feed/ – also see www.europeana.eu for more details. For those of you who are more adventurous and have wondered if it were possible to have an XLR audio input to an iPad then the answer is yes. As you probably know there appears to be only a headphone out on an iPad but no mic input. However the headphone out can be used as a mic input with the right connection. 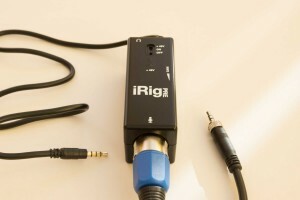 A company called IK Multimedia produce a device called iRig. This little device sells for £23.99 on Amazon and is easy to set up. Its powered by a Duracell 9V or similar. You can hook up any professional device i.e. the Sennheiser radio mic receivers for classroom/lecture room recording. It even has 48V Phantom power which allows a huge number of condenser mics to be used. There’s also a 3.5mm headphone socket. First impression: very good for the price. No distortion, clean sound, excellent for lecture recordings. No software needed unless you want it but you do get access to a couple of Apps which I haven’t used. I used it with the App ‘Explain Everything’ and all worked well. Jisc, the UK charity which provides digital services for education and research, is today writing to UK universities to outline proposed refinements to the organisation’s funding model. Since the publication of Sir Alan Wilson’s review of Jisc in February 2011 it has enhanced its integration with the sector to deliver products and services developed around its needs. With the balance of higher education funding moving from grants to subscriptions, Jisc funding needs to evolve similarly. The changes mean that Jisc’s existing subscription model for the Janet network will be refined, with the proposed change coming into effect from the start of the academic year 2014-15. This will ensure that universities continue to benefit from a world class research and education network, negotiated rich and up-to-date online collections, best practice advice on many different areas and targeted research and development. Explaining the changes, Martyn Harrow, Jisc chief executive said, “Jisc’s funding has decreased over the past few years and will continue to do so. We have made efficiency improvements meaning that Jisc will absorb the majority of these financial reductions without threatening any of the core services on which the sector depends. Each year Jisc saves the sectors it serves around £260m – three times its operating costs – in direct savings and cost avoidance, in effect saving each individual institution many times its own subscription. In addition to these efficiencies, Jisc will minimise the impact of the shift by creating the largest VAT cost sharing group in the UK meaning that institutions will not pay VAT on future Jisc subscriptions. “We know the financial pressure all our institutions are under, so we will continue to look at the way Jisc works and will constantly strive to improve our services. In his review Sir Alan Wilson described Jisc as a ‘national asset’, these changes will ensure that learners and researchers – both on and off campus – continue to have instant access to an unrivalled research and education network, as well as vital collections and resources that are of immense benefit to them,” said Martyn.